Wiper Blade Refills - Top 10 Brands! 1. PIAA has a reputation for making quality parts. Their silicone blades are an excellent buy, as they are durable and their revolutionary beading makes it easier for you to see the road. 2. ANCO wiper blades are inexpensive and come in a variety of sizes to accommodate drivers. The sturdy construction ensures these will do a good job, even in inclement weather. 3. Trico makes excellent parts. Their wiper blade refills have a steel bridge spine that provides it with flexibility. 4. Bosch wiper blades are revolutionary in design. Their curved spine makes it a better fit for your windshield, thereby capturing more of the water so you can have better clarity. 5. Michelin wiper blades have some of the best innovations in the industry. Their design ensures drivers receive the best in quality and durability, as they account for many different conditions such as snow build-up. 6. 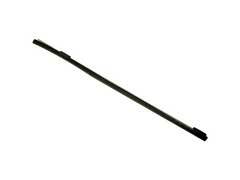 Rain-X has some awesome wiper blade refills you can buy. Their Latitude Blade has an aerodynamic design that will provide even pressure on your windshield. 7. Optix makes great products like wiper blade refills. Customers will enjoy their affordability and accessibility, as you can buy these at places like Walmart. 8. All Season makes an affordable blade you can use throughout the year. Best of all, this part retails for under $6. 9. AutoTex makes metal replacement wiper blades that drivers will love. The metal construction ensures they can withstand tough conditions while delivering great quality. 10. Lastly, Duralast makes blades that are great in design and functionality. This means you will receive the best coverage when driving.